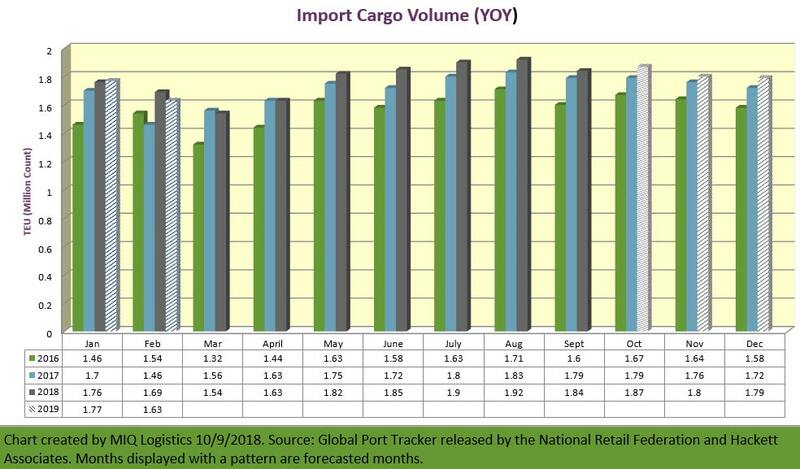 Imports at the nation’s major retail container ports are expected to remain at near-record levels this month despite a new round of tariffs that took effect in September, according to the monthly Global Port Tracker report released today by the National Retail Federation and Hackett Associates. While cargo numbers do not correlate directly with sales, the imports mirror this year’s strong retail sales. NRF forecast last week that 2018 holiday season retail sales – excluding automobiles, restaurants and gasoline stations – will increase between 4.3 percent and 4.8 percent over last year. Retail sales for all of 2018 are forecast to be up at least 4.5 percent over 2017. Click here to access the entire release from the National Retail Federation.